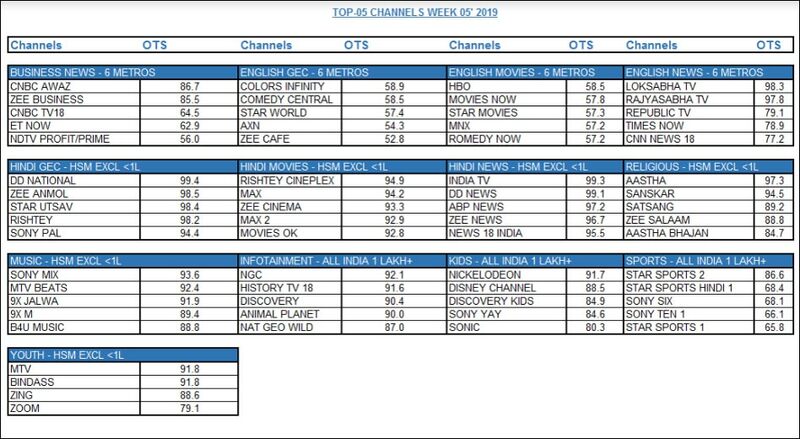 In the Hindi news genre, India TV gained the highest OTS with 99.3 per cent in HSM excluding the less than 1L-market. The second position in the gainer’s list of OTS was grabbed by the Hindi movies genre with the growth of 0.48 per cent in HSM excluding the less than 1L-market. Rishtey Cineplex was the most benefitted channel in this category with 94.9 per cent. The third position in the gainers was garnered by the Kids genre in All India 1 Lakh+ market with 0.16 per cent OTS. Nickelodeon gained the highest OTS with 91.7 per cent.